Invitation and roundup from Jorge Segarra. 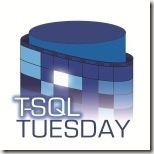 Hello everyone and welcome to this month’s T-SQL Tuesday. This month’s topic is all about Power BI! If you’re reading this and thinking “crap, I’m not a BI person!”, don’t you fret. My intention is to make folks who normally don’t use BI on a day to day basis try their hand at creating cool new visualizations and reports with Power BI and seeing how the other side lives. Maybe it can spark some ideas on how you can make use of it in your operational day-to-day. For the BI folks, let’s see your creative side! What cool things can you show us with Power BI?